Rib tips are slowly smoked in a mixture of rub, beer, and BBQ sauce, for fall-off-the-fork tender meat. Smoked for several hours, these ribs have amazing flavor. Rib tips are the short, meaty sections of rib that are attached to the spareribs and usually cut off when the ribs are trimmed St. Louis style. This recipe is a great use for them. 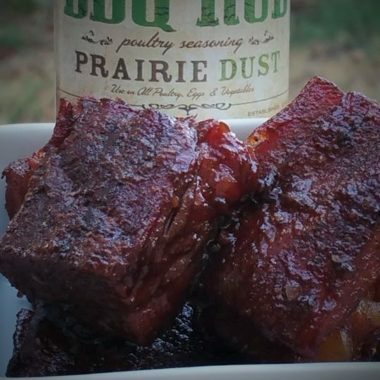 Use your favorite BBQ sauce, whether it’s store bought or homemade. For a deep smoke flavor, use almond wood or your favorite hardwood. 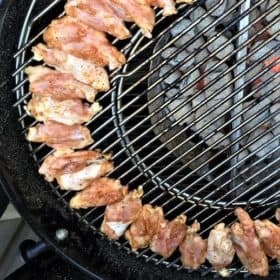 Set a smoker to 275 to 300 degrees F (135 to 150 degrees C). Add the almond wood chunk. Splash Worcestershire on to the rib tips, to coat evenly. 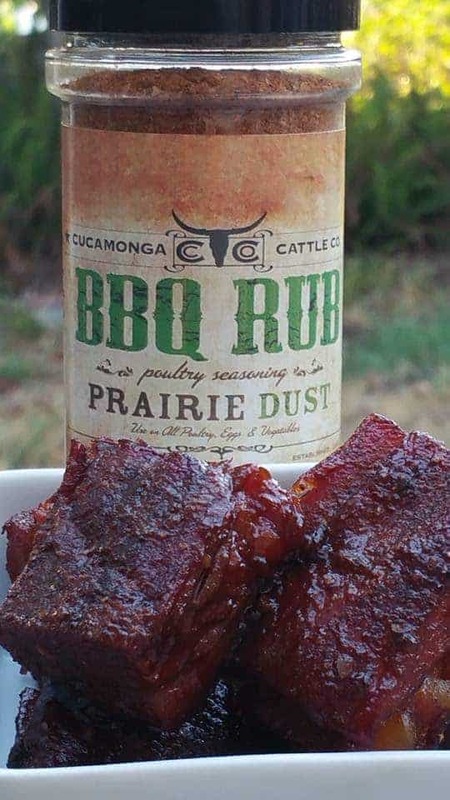 Apply a thin layer of rub to the tips. Allow to sweat at room temperature for 30 minutes to 1 hour. Put the rib tips on the smoker for 2 1/2 hours. 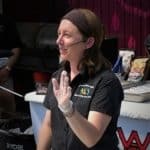 Remove from the smoker and chop into bite-sized pieces. 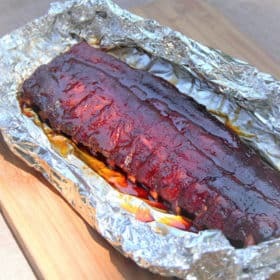 Place the ribs in a foil pan with the beer and 1/2 cup thinned BBQ sauce. Cover with aluminum foil. Return the tips to smoker for 1 hour, covered. After 1 hour, remove the foil from the top. Stir after 15 minutes. After 30 minutes uncovered, stir and add the remaining 1/2 cup BBQ sauce. Stir after 15 minutes. Remove from the smoker once the rib tips are tender and the sauce has started to reduce. 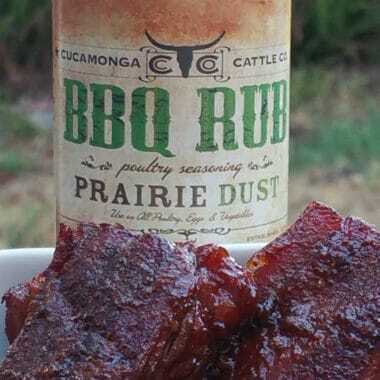 Add a small amount of Prairie Dust as a finishing rub. If using a thick sauce, thin it with beer, apple juice, or water.